A man was transported by CareFlight to Miami Valley Hospital after he crashed an all-terrain vehicle. 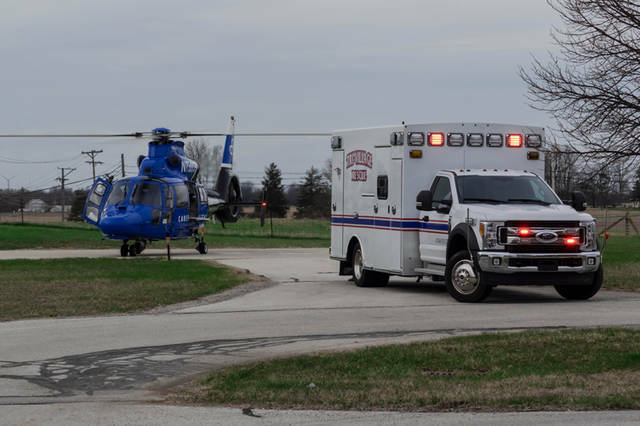 PALESTINE — An all-terrain vehicle accident early Thursday evening in rural Liberty Township left one man transported by CareFlight for his injuries. 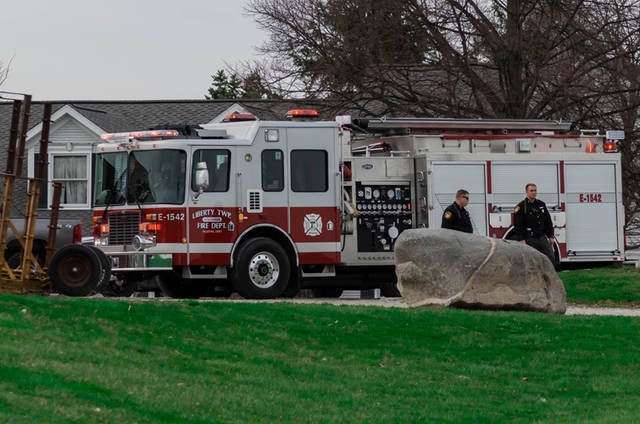 At approximately 6:20 p.m., emergency personnel from Liberty Township Fire Department and Tri-Village Rescue along with deputies from the Darke County Sheriff’s Department were dispatched to 4118 Clark Station Road in regards to an injury accident between an ATV and a pickup truck. According to the Darke County Sheriff’s Department, Jacob Clifton, 26, was riding a green Honda four-wheeler without a helmet around a barn in a gravel lot. The ATV struck a red 2001 Ford F-250 pickup truck driven by Grant Bussey, 21, of New Madison, that was driving alongside the barn. 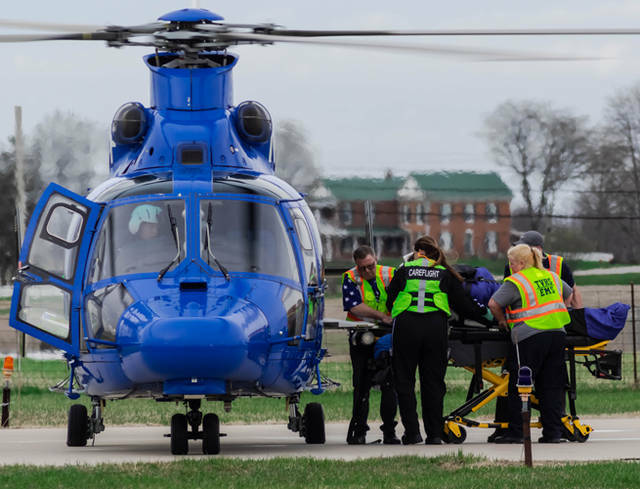 Clifton was treated on the scene by Tri-Village Rescue before being transported to the landing zone located at the Darke County Criminal Justice Center to meet up with CareFlight. He then was transported to Miami Valley Hospital for what was described as non-life threatening injuries. This entry was tagged ATV, Careflight, crash, Darke County Criminal Justice Center, Darke County Sheriff’s Department, Darke County Sheriff’s Office, Liberty Township, Liberty Township Fire Department, Miami Valley Hospital, New Madison, Palestine, Tri-Village Rescue. Bookmark the permalink.